In keeping with the spirit in which this industry was built, we are pleased to launch our new Makerspace Partnership Program. Registered Makerspaces will receive discounts on all products shipped to the Makerspace location. To learn more about the program, please visit the Makerspace Partnership Program page. Thank you for being loyal customers of MonoFilament Direct! Welcome to the home of MonoFilament DIRECT. 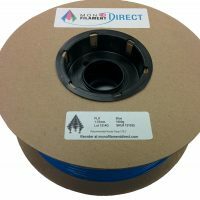 We are the leading source of wholesale filament for the 3D printing industry.